The terms "Sales Funnel" and "Sales Process" are words that nearly any professional would recognize. 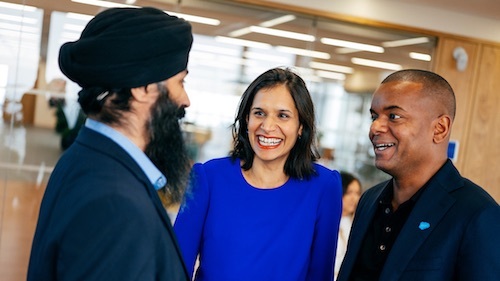 However, a shocking minority of professionals and businesses actually understand their sales process or have a concept of what it even looks like. With technology adding more channels and changing customer behavior on a daily basis, it's becoming even harder to understand the complex web of customer interactions that lead to a sale. This complexity is what makes Customer Relationship Management (CRM) tools like Salesforce so valuable. With the help of CRM solutions, companies can have a complete picture of a customer journey for the first time. Companies can harness new channels to drive more leads than ever before. Lead flows can be optimized to keep your sales team focused on selling. Deals can move faster and close more easily with the right resources and technology and customer expectations can be surpassed easily. 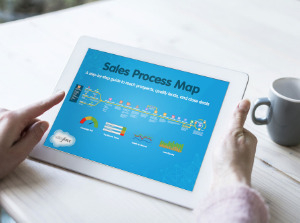 To help you understand your sales process better and learn how a CRM solution can help you simplify that process, we've given you a roadmap in our new e-book, "The Sales Process Map." Available today. Generate More Leads. 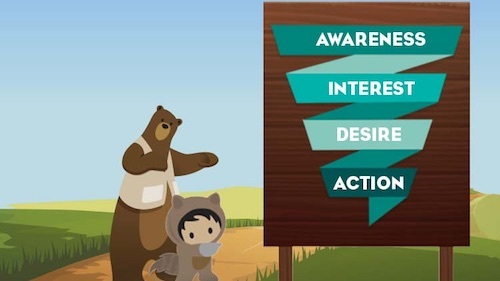 CRM solutions like Salesforce allow you to adjust your lead-generation strategies across your website, sales activities, and organic channels. Each channel inherently requires a unique approach, and a CRM affords you the flexibility to customize your operation for each channel while still maintaining a single organized database of leads. Optimize the Lead Flow. With a well-organized lead-generating machine, companies need to develop workflows to manage the diverse new influx of sale opportunities. Without a system in place to manage all these leads, a sales team can be thrown into chaos. This is where a CRM solution like Salesforce can help. Close More Deals. 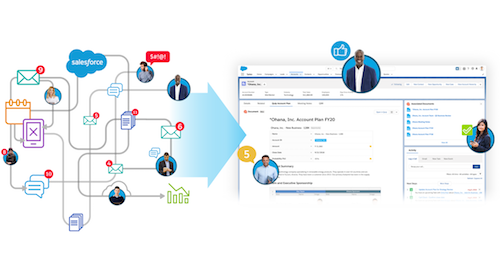 A CRM solution like Salesforce keeps salespeople organized and up to date so they can be at peak performance for every deal. They can be ultra-responsive during negotiations and exceed their leads’ expectations at every turn. The e-book is already available to download for free. Download the e-book today and take control of the modern sales cycle!